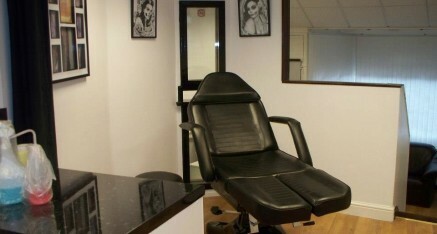 Scott-A-Tattoo is situated in the heart of St John’s, with close access to public transport. We provide a wide range of tattoo and body piercing services, which are all carried out within our environmental health registered studio. Scott-A-Tattoo maintains a friendly and relaxed atmosphere. You can browse through the designs at your leisure – if you require a specific style of tattoo, please feel free to ask. If you have your own design, you can bring it in the studio and we can provide you with advice and a quote. For any custom work, please call in for a free consultation. In store we also stock a wide range of body jewellery for your individual needs, so feel free to pop in a take a look at what we have to offer! We are a family run business, which is situated in the heart of St.John’s. We aim to cater for all your tattoo and body piercing needs. We have a wide variety of designs for you to browse through at your leisure, or you can also request a design of your own. There is also a wide selection of body jewellery for sale. We would like to say thank you to all of our loyal customers and those we are yet to meet. We wish you all the best and hope to see you soon. 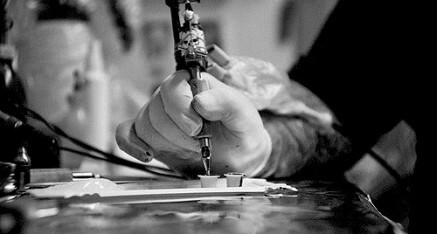 Scott-A-Tattoo prides itself with many years of experience, spanning over more than a decade. The journey all began 17+ years ago with training in the US. Ever since qualifications, knowledge and experience have been collectively gained from far and wide. We have had the pleasure of meeting many amazing individuals through the tattoo and piercing industry, which makes the process even more enjoyable. The passion for our work shines through and is made worthwhile by the smiles and appreciation of all our clients – new and old. We appreciate your custom and look forward to seeing you soon! For the most up to date news and information, head on over to the Scott-A-Tattoo Facebook page. Give the page a like and you’ll be able to keep posted with all the newest tattoos, information on new stock landing, special offers and much more!